It's no secret that there's big money to be made in violating your privacy. Companies will pay big bucks to learn more about you, and service providers on the web are eager to get their hands on as much information about you as possible. So what do you do? 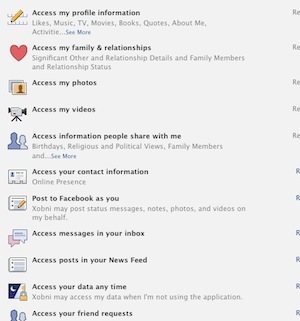 How do you keep your information out of everyone else's hands? Here's a guide to surfing the web while keeping your privacy intact. The adage goes, "If you're not paying for a service, you're the product, not the customer," and it's never been more true. Every day more news breaks about a new company that uploads your address book to their servers, skirts in-browser privacy protection, and tracks your every move on the web to learn as much about your browsing habits and activities as possible. In this post, we'll explain why you should care, and help you lock down your surfing so you can browse in peace. Your personal information is valuable. More valuable than you might think. When we originally published our guide to stop Facebook from tracking you around the web, some people cried "So what if they track me? I'm not that important/I have nothing to hide/they just want to target ads to me and I'd rather have targeted ads over useless ones!" To help explain why this is short-sighted and a bit naive, let me share a personal story. Before I joined the Lifehacker team, I worked at a company that traded in information. Our clients were huge companies and one of the services we offered was to collect information about people, their demographics, income, and habits, and then roll it up so they could get a complete picture about who you are and how to convince you to buy their products. In some cases, we designed web sites and campaigns to convince you to provide even more information in exchange for a coupon, discount, or the simple promise of other of those. It works very, very well. The real money is in taking your data and shacking up with third parties to help them come up with new ways to convince you to spend money, sign up for services, and give up more information. Relevant ads are nice, but the real value in your data exists where you won't see it until you're too tempted by the offer to know where it came from, whether it's a coupon in your mailbox or a new daily deal site with incredible bargains tailored to your desires. It all sounds good until you realize the only thing you have to trade for such "exciting" bargains is everything personal about you: your age, income, family's ages and income, medical history, dietary habits, favorite web sites, your birthday...the list goes on. It would be fine if you decided to give up this information for a tangible benefit, but you may never see a benefit aside from an ad, and no one's including you in the decision. Here's how to take back that control. If you're a Chrome user, there are tons of great add-ons and tools designed to help you uncover which sites transmit data to third parties without your knowledge, which third parties are talking about you, and which third parties are tracking your activity across sites. This list isn't targeted to a specific social network or company—instead, these extensions can help you with multiple offenders. 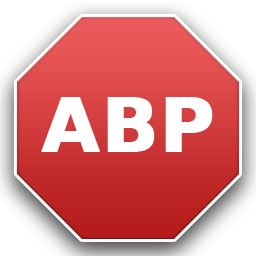 Adblock Plus - We've discussed AdBlock plus several times, but there's never been a better time to install it than now. For extra protection, one-click installs the Antisocial subscription for AdBlock. With it, you can banish social networks like Facebook, Twitter, and Google+ from transmitting data about you after you leave those sites, even if the page you visit has a social plugin on it. Ghostery - Ghostery does an excellent job at blocking the invisible tracking cookies and plug-ins on many web sites, showing it all to you, and then giving you the choice whether you want to block them one-by-one, or all together so you'll never worry about them again. The best part about Ghostery is that it's not just limited to social networks, but will also catch and show you ad-networks and web publishers as well. 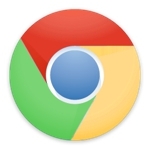 ScriptNo for Chrome - ScriptNo is much like Ghostery in that any scripts running on any site you visit will sound its alarms. The difference is that while Ghostery is a bit more exclusive about the types of information it alerts you to, ScriptNo will sound the alarm at just about everything, which will break a ton of websites. You'll visit the site, half of it won't load or work, and you'll have to selectively enable scripts until it's usable. Still, its intuitive interface will help you choose which scripts on a page you'd like to allow and which you'd like to block without sacrificing the actual content on the page you'd like to read. 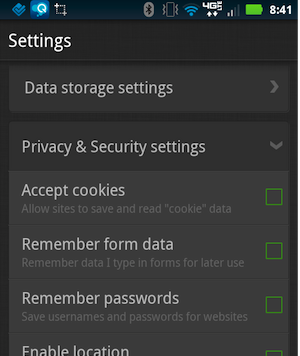 Do Not Track Plus - The "Do Not Track" feature that most browsers have is useful, but if you want to beef them up, the previously mentioned Do Not Track Plus extension puts a stop to third-party data exchanges, like when you visit a site like ours that has Facebook and Google+ buttons on it. By default, your browser will tell the network that you're on a site with those buttons—with the extension installed, no information is sent until you choose to click one. Think of it as opt-in social sharing, instead of all-in. Ghostery, AdBlock Plus, and Do Not Track are the ones you'll need the most. ScriptNo is a bit more advanced, and may take some getting used to. 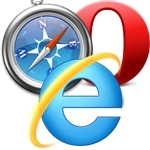 In addition to installing extensions, make sure you practice basic browser maintenance that keeps your browser running smoothly and protects your privacy at the same time. 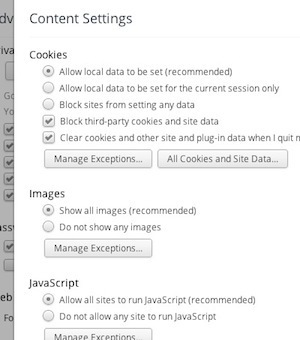 Head into Chrome's Advanced Content Settings, and make sure you have third-party cookies blocked and all cookies set to clear after browsing sessions. Log out of social networks and web services when you're finished using them instead of just leaving them perpetually logged in, and use Chrome's "Incognito Mode" whenever you're concerned about privacy. Mobile browsing is a new frontier. There are dozens of mobile browsers, and even though most people use the one included on their device, there are few tools to protect your privacy by comparison to the desktop. Check to see if your preferred browser has a "privacy mode" that you can use while browsing, or when you're logged in to social networks and other web services. Try to keep your social network use inside the apps developed for it, and—as always—make sure to clear your private data regularly. 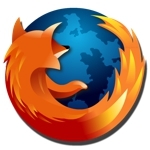 Some mobile browsers have private modes and the ability to automatically clear your private data built in, like Firefox for Android, Atomic Web Browser, and Dolphin Browser for both iOS and Android. Considering Dolphin is our pick for the best Android browser and Atomic is our favorite for iOS, they're worth downloading. If none of these extensions make you feel any better, or you want to take protecting your privacy and personal data to the next level, it's time to break out the big guns. One tip that came up during our last discussion about Facebook was to use a completely separate web browser just for logged-in social networks and web services, and another browser for potentially sensitive browsing, like your internet shopping, banking, and other personal activities. If you have some time to put into it, check out our guide to browsing without leaving a trace, which was written for Firefox, but can easily be adapted to any browser you use. If you're really tired of companies tracking you and trading in your personal information, you always have the option to just provide false information. The same way you might give a fake phone number or address to a supermarket card sign-up sheet, you can scrub or change personal details about yourself from your social network profiles, Google accounts, Windows Live account, and others. Change your birthdate, or your first name. Set your phone number a digit off, or omit your apartment number when asked for your street address. We've talked about how to disappear before, and carefully examine the privacy and account settings for the web services you use. Keep in mind that some of this goes against the terms of service for those companies and services—they have a vested interest in knowing the real you, after all, so tread carefully and tread lightly if you want to go the "make yourself anonymous" route. 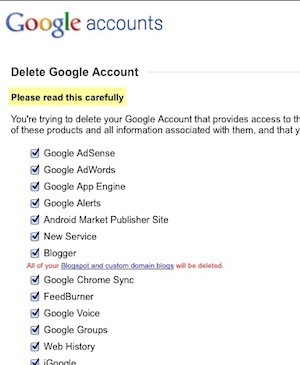 Worst case, start closing accounts with offending services, and migrate to other, more privacy-friendly options. These are just a few tips that won't significantly change your browsing experience, but can go a long way toward protecting your privacy. This issue isn't going anywhere, and as your personal information becomes more valuable and there are more ways to keep it away from prying eyes, you'll see more news of companies finding ways to eke out every bit of data from you and the sites you use. Some of these methods are more intrusive than others, and some of them may turn you off entirely, but the important thing is that they all give you control over how you experience the web. When you embrace your privacy, you become engaged with the services you use. With a little effort and the right tools, you can make the web more opt-in than it is opt-out.